Practicality is what fashion or function of the mobile phone. If you want a phone that nobody has, buy this one. 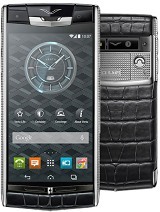 Surely enough, anyone has a phone like this had spare of other brand because of Vertu's limited function. And there you goes, practicality reveals its purpose. vertu is the rolex of phones if you can not afford one blame yourself for being poor and go buy a apple phone or some android phone. If the rich wanted to be like evryone else then they would be poor. I guess all other phones r better than this vertu brand in terms of features.same as other phones but price in lacks of rupees.Nothin great in tht other thn money. chose your way. if u can't pay this one buy an other but plz stop beeing bad with who can. having money is not a deases. Vertu is like the Rolex of phones. You pay a ridiculous price tag for a basic function. look i no every buddy having money and srsly speaking many many manyyy phone are better den vertu..!!! stop dreaming start doing move on..!!!! King Saleh, 13 Jul 2010Dude, i dun know u... but i still promise u dat if u visit Dubai anytime, be my guest n i will... morei m ready to visit Dubai for these phone. its one of the most amazing phone may be not the best in feature but its the mater of status!!!!! belief me King just tell me the address LOL!!! Strange people want to buy this kind of stuff. If you can afford it, then BUY IT! You only live once so express yourself. But if you cannot afford it, then this fone is not for you. Very regret to own one of these! 19mm thick? Holy crap! That's as thick as a Nokia 9500. Looks tough as hell, though. Then again... so did the Nokia 9500. Ah well, they'll sell a dozen to princes and royalty somewhere. Good for them, I guess. 19mm thick, though... Holy crap. If i steal one, i can buy the Porshe of my dream, or feed a small country for two years...a brain-storming dilemma, oh what shall i do ???? 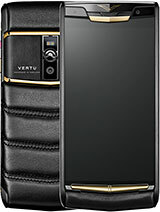 Total of 119 user reviews and opinions for Vertu Ascent 2010.